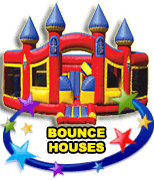 Looking for a Bounce House in Fort Lauderdale? VOTED #1 Best Source of BOUNCE HOUSE PARTY RENTALS in Fort Lauderdale for 2018! We treat every event like our own to ensure that everything goes perfectly. All of us here at Extremely Fun specialize in exceeding your highest expectations for quality and always keep the focus on the kids by ensuring that we maintain the cleanest, safest, and widest selection of ultra fun bounce houses, water slides, and other party rentals. Our service record is impeccable and we make completely sure that part of your party or event goes off without a hitch, freeing you up to focus on what’s important… enjoying your guests and event. Bounce House Price: Not Only Do We Take Pride on Our Price Point to Ensure that You Get the Highest Value For Your Dollar, But We Offer FREE Delivery in Addition to Set Up and Take Down. Or just browse through all our party rentals and take a look at our various products and categories including inflatable water slide rentals and obstacle courses, ultra exciting zip lines, 3-in-1 all the way up to 7-in-1 waterslide and bounce house combos, various sizes of dry slides for when you don’t want the water play, and various party supplies like snow cone machine rentals, popcorn machine rentals, cotton candy machine rentals, table and chair rentals, interactive games, tug of war ropes, and every type of custom party rental packages you could want or need to make your party perfect. 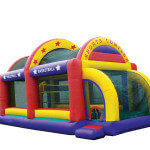 At Extremely Fun, we offer a variety of all different types of bounce houses and party rentals for you convenience! We believe you should have the exciting party you deserve! Your fearless, Frozen princess and friends will delight in this amazing world of frigid fun! With lots of space to romp around in a winter-themed wonderland, kids will endure pop-up obstacles and lob “snowballs” into a basketball hoop. When they are ready to break free from the spell of the wintry kingdom, they can scale the North Mountain and “Let It Go” down the exit slide, slipping back to summer. Parents and spectators love the clear view with the 360-degree mesh sides of this bouncer. 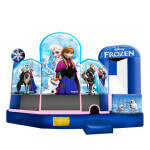 Freeze memories in time with this special in South Florida Frozen bounce house 5-in-1 dry combo featuring one of our most popular themes! This deluxe toddler play castle is brand new and sure to be a big success with the young ones. It has everything they want and will provide tons of exciting laughs and wonderful moments to capture in pictures as they make their way around the interior of the same padded castle having an absolute blast. The interior is specially designed to provide different zones so that your young ones can move from area to area navigating the mini challenges and tackling each exciting adventure to emerge smiling and laughing into your arms begging to go again. Aloha! Welcome to one of the best new 4 in 1 combos that is sure to delight in so many ways. Prepare for a tropical journey to fun land! The best of both worlds, this Aloha combo is a winner whether you want it wet or dry. If you want the wet 4 in 1 you get a bouncer and a water course as with the pool attached kids can bounce, climb up the ladder and push off onto the sliding lane whipping around a 90° turn and splashing down into the pool. This innovative Jump N Splash specialty has a beautiful tropical theme and our special heavy duty non-slip material on the entrance ramp and on the entire jumping mattress, virtually preventing kids from slipping. All stars of all ages put their athletic skills to the test in our 4-in-1 combo jumpers for rent. 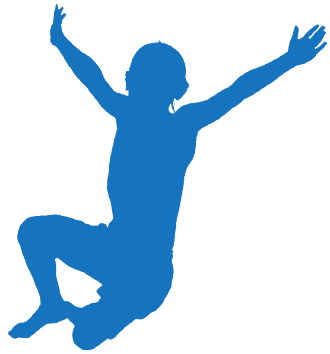 How high can they jump in the 12’ × 12’ open bounce area? How well can they shoot and score in the basketball hoop? Can they scale the ladder to reach the top of a 13’, 50-degree incline and then slide into home like a winner? This unit also includes a completely enclosed sun-screened mesh cage over the entire top and sides of the slide as both added sun shield and safety feature. 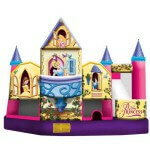 Disney Princesses bring a little magic to this 3D, 5-in-1 Disney bounce house rentals with its sweet 3D imagery. Here classic princesses Belle, Snow White, Cinderella and Sleeping Beauty reign over their cavernous castle. But don’t underestimate their calm appearance! Inside maids and gents romp, bounce and jump off floors (and walls), playing basketball, dodging pop-up obstacles, hurdling log obstacles, climbing the ladder incline and plunging down the slide. Princesses and princes alike will delight in Cinderella’s realistic 3D balcony. The Disney Princesses enchanting fun to all who enter! Do you have a star athlete in the making? A goal scorer, a powerful defender, a great volleyball player, or little basketball player with tons of heart and talent? Even better, do you have kids who have tons of energy and the willingness to let loose and have fun in new and excitingly athletic ways? 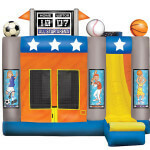 For all the kids who like to play sports and have a great time, we give you the Extreme Sports Complex bounce party rental. Hit the game-winning bucket in basketball, score a goal in soccer or make a great spike in volleyball. Or just laugh, play, and have the time of your life. A safety mesh surrounds the entire unit and the positioning of the entrances and exits on the front of the unit (and not behind each goal) for the ultimate parental approval! Fun Fact: Fort Lauderdale has a rich, natural outdoor beauty that features around 3,000 hours of sunshine each year. This year round sunny ambiance makes Ft. Lauderdale perfect for bounce house parties and bounce house water slide rentals. What better company to turn to for options of different types of bounce houses and party rentals than Extremely Fun? Let us help you pick out an exciting party rental that gets the theme of your event across! The amount of fun that the kids will have in one of our premiere Fort Lauderdale bounce house options can only be measured in the countless smiles and peals of laughter on all the happy young faces. One of the prime cities of South Florida, Ft. Lauderdale is a beautiful coastal metropolis that many consider being a great family location and entertainment hub. Family parties and large events held here often include children with boundless amounts of energy and a need to be entertained. 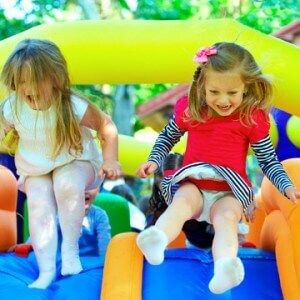 Not only will Fort Lauderdale charm you with its beauty and rapidly expanding urban and beach cultures, but when you book with Extremely Fun Bounce House and Waterslide Rentals, a Fort Lauderdale bounce house party or outdoor event will also provide endless hours of super safe and affordable entertainment for kids and parents alike. Located at the bottom tip of the Florida Peninsula, in Broward County, this gorgeous city has year round warmer temperatures and a care-free atmosphere for visitors and locals, making it a perfect location for outdoor and weekend fun. Renting a bounce house in Ft. Lauderdale could not be simpler or more satisfying. 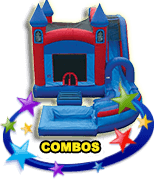 Whenever you want to take your outdoor party or event to the next step, make sure to peruse our wide array of bounce house, waterslide, and bounce house water slide combo rental options. 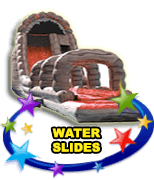 Our customers will attest that Extremely Fun offers the biggest variety of waterslide and bounce house rentals, and you can always find one that is wonderful for any occasion. So when you need a bounce house rental in Ft Lauderdale, FL, the #1 company to rent from is Extremely Fun! An Extremely Fun party rental activity can be the centerpiece or side complement entertainment at a variety of different party types, and each one of our bounce houses and bounce house water slides are made of extremely high-quality materials that will keep your children safe. They are also all manufactured here in the United States to ensure that the standard of quality of the highest possible. When you book your Fort Lauderdale bounce house, you can rest assured that you are getting the very best, and the very safest option for your kids and your guests. Plus, we ensure that they maintain the highest grade through constant inspections, including one final inspection on the day of the event to ensure that you don’t have a single issue to worry about on our end. Not only will the kids be able to enjoy countless hours of bounce house fun in Fort Lauderdale while burning off tons of restless energy, but adults are also free to join in the fun as well. 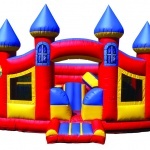 Best of all, there are so many different types of bounce houses offered that you will not only find the right one but you will find a number of perfect options, allowing you to customize your event however you want. Our vast selection of options for bounce house rental in Ft Lauderdale, FL is one factor in what sets us apart from the competition. 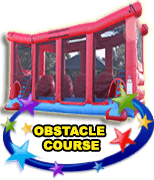 Extremely fun has a huge variety of choices for your event ranging from specialty slides to ziplines to awesome obstacle courses and classic old fashioned bounce castles. It is completely up to your preferences to choose the perfect one for your party, but if you want any professional advice, our staff has a ton of experience and can often lend just the perfect amount of inside information to your decision making process, enabling you to make an informed decision between several options you may be weighing. Busy planning for your beautiful Ft. Lauderdale party? Don’t worry! 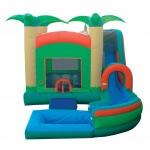 Extremely Fun will handle everything on our end from delivering the houses to your front door, or other party location, and then setting the entire bounce house or bounce house water slide up for you. Then once you have completed your party, they will return to pick up the house and take care of the cleanup. Our focus is always on safety and fun, and we take pride in delivering safe, high-quality entertainment. Quite simply, it is our top priority here at Extremely Fun, and it allows you to focus on enjoying your party while we take care of the rest on our end. 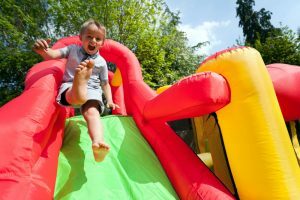 Knowing the nearly year round Ft. Lauderdale heat, you may also want to consider a bounce house waterslide rental to cool off your smaller guests. As the #1 provider of water slides and bounce house water slides in South Florida, we focus on timeliness, safety, and fun. And while there are so many reasons that make Extremely Fun the very best go-to provider for high quality outdoor fun, its our dedication to cleaning, inspecting, maintaining, and sanitizing every piece of equipment that we believe is definitely one of the most important aspects that differentiates us from the competition. Not only do we provide more of what you like, they come in better tested and ready, so that you never have to worry about any issues on our end. That way you and your guests will be able to enjoy hours of fun, and not only the children as the adults at the event are also free to join in as well. 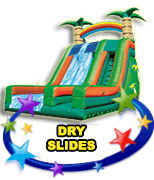 Ft. Lauderdale bounce houses and bounce house water slide rentals are the perfect outdoor option, and the premier combination of fun and active entertainment for any party or event. 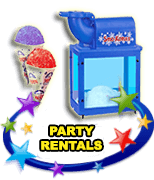 Don’t live in Fort Lauderdale or need a party rental in a different city? We cover all of your South Florida bounce house needs, providing Palm Beach County bounce houses including Boca Raton bounce houses and Boynton Beach bounce houses, exciting Delray Beach Bounce Houses, cool Wellington bounce houses, Lake Worth bounce houses and West Palm Beach bounce houses, as well as all our Broward County bounce house services including Deerfield Beach bounce houses, local Pompano Beach bounce houses, delightful Coral Springs bounce houses, wonderful Sunrise bounce houses, high quality Tamarac bounce houses, sunny Lauderdale by the Sea bounce houses, thrilling Plantation bounce houses, Fort Lauderdale bounce houses, great Davie bounce houses, awesome Cooper City bounce houses, Parkland bounce houses, and so many more. Don’t need a bounce house? We also specialize in providing for all of your South Florida water slides needs, providing Broward County water slides services including Deerfield Beach water slides, Pompano Beach water slides, Coral Springs water slides, Sunrise water slides, Tamarac water slides, Lauderdale by the Sea water slides, Plantation water slides, Fort Lauderdale water slides, Davie water slides, Cooper City water slides, and Parkland water slides, as well as all Palm Beach County water slides including Boynton Beach water slides, Delray Beach Water slides, West Palm Beach water slides, Wellington water slides, Lake Worth water slides, and so many more.